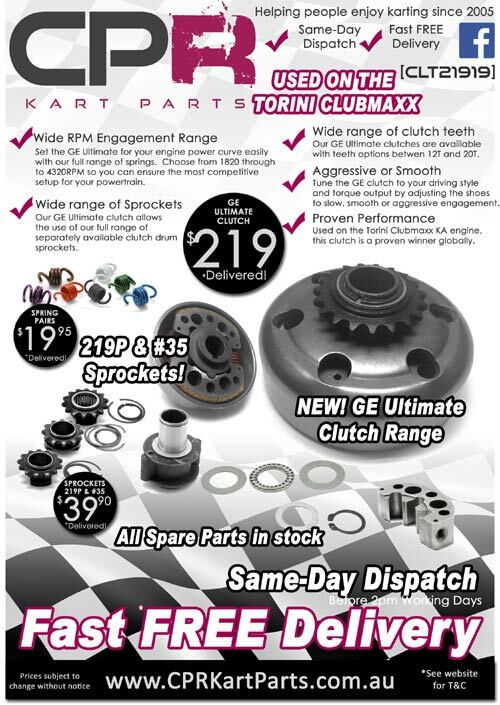 In this guide we'll show you how to break down and re-assemble your NORAM GE Ultimate Twin Shoe clutch, and we'll also give you the tips and tricks to service it and keep it in the best operating order. 6. Remove the Springs and shoes. 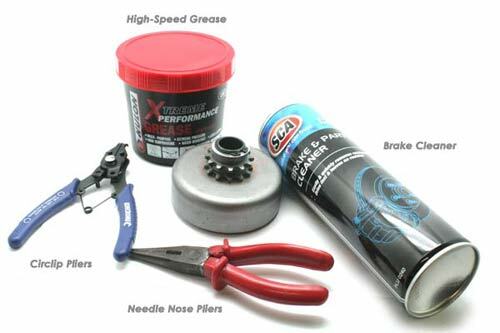 This guide explains how to disassemble and re-assemble your CPR GT Clutch, as well as how to service it. Using the circlip pliers, gently remove the circlip holding the drum to the core. Place it aside. Remove the first and second thrust washer and place aside. *NOTE: Thrust washers can vary in thickness. TOP TIP:When using different thickness thrust washers simply use the same quantity internally, then use a different quantity between the outer drum and the circlip to ensure almost no play in the drum. Slide the drum upwards and off the core. Place it aside - watch for any thrust washers stuck to the underside of the drum. Carefully remove the first thrust washer, then the bearing, then the second thrust washer. Clean as necessary and re-apply grease to the roller bearing. 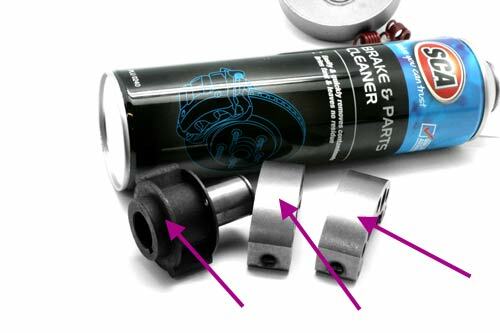 Use only a thin smear of high speed bearing grease on the surfaces of each thrust washer. 5. Remove the Springs and shoes. Using the needlenose pliers, gently lever each spring out from one of the shoes first, then remove one shoe. Remove the second shoe from the core. Now you can push the sprocket out of the drum from the inside pushing outward. If you can't get it to budge, gently tap it with a nylon hammer. Using the brake cleaner, clean the section of the core and shoes. You can also clean the inside of the drum where the shoes contact if it is sticky or has been noisy in operation. Check the contact surfaces and ensure they aren't burred or damaged. All shafts should be perfectly smooth and free from chips and marks. 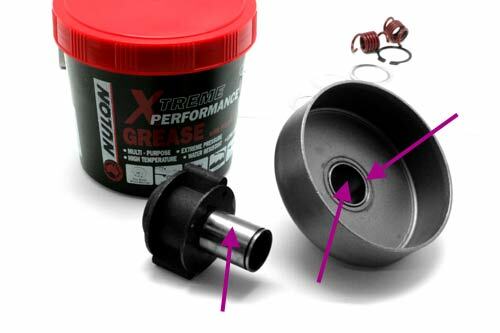 Using the high speed grease, VERY LIGHTLY grease the protruding knobbly bits on the core where the shoes are held in place - do not over-grease these as the shoes must be able to move easily and you do not want grease flicking out onto the shoes and drum contact surface. Lightly grease the core shaft. Lightly grease the bush in the drum and the section of the base of the drum where it will sit on the thrust washers. DO NOT OVER-GREASE! Re-assembly is basically the reverse of the disassembly process.